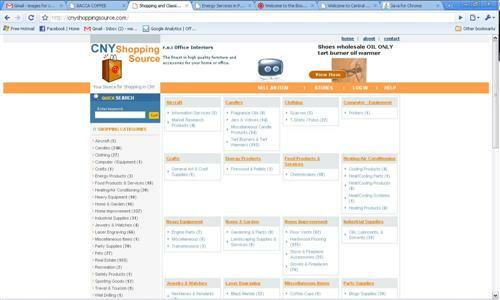 CNY Shopping Source allows individuals as well as businesses to sell products online with ease. Businesses can create their very own store front along with categories, multiple images, and allow their products to appear on Both CNYSource.com and CNYShoppingSource.com. Technologies - Powered by CNYSource.com, CNY Shopping Source utilizes ASP with a MYSQL backend database along with a dynamic flash animations of products for sale.